Army Museum of Singapore : Cadets fall in! 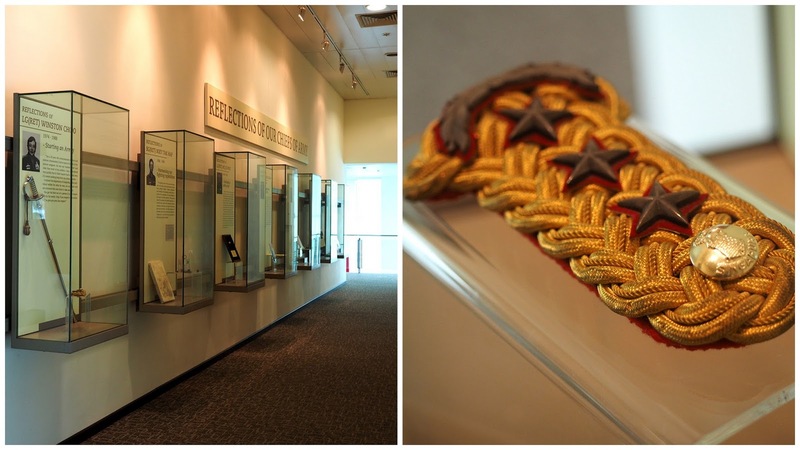 Lyrics from Ah Boys to Men " Recruit Anthem"
Have you been to the Army Museum? For Singapore guys serving national service of are in reservist, most would have visited the Army Museum at some point of their tour of duty. Ever since the boys watched the show 'Ah Boys to Men', they had been enthusiastic about the army. After having a glimpse of their 'idols' at the recent Transformers toy launch, they practically wanted to join the army straightaway. Actually I made the last sentence up, but I can see the boys'interest in the army is definitely piqued , so a visit to the Army Museum is plan to satisfy their curiosity in the Singapore armed forces. 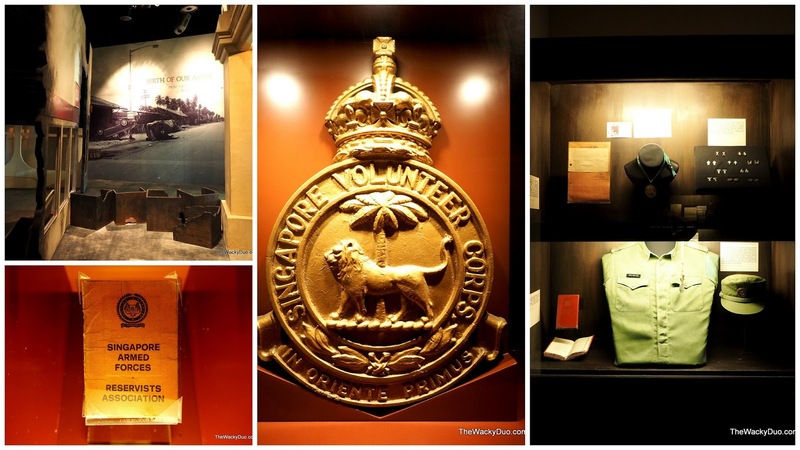 For Singaporeans and PR, the Singapore Army Museum provides free entry from Tuesday to Sunday. With the new initiative to revive the Singapore Volunteer Crops consisting of new citizens, PRs and women, the Army Museum will be a good starting ground to learn more about our fighting force. We started the exhibition by going through the birth of our nation exhibit. Here you will learn the history of the armed forces. The exhibits are rather sparse and here are limited interactive facilities for children. However for the history buffs and the new volunteers , this will make a good introduction statement,. The next segment is a little more visually interesting. Here lies an old school barracks with an open cupboard for inspection. From the looks of it, it is dated before my time and probably has its roots from the start of the armed forces. Still the layout brings back familiar memories of the past. The boys conducted their own barrack inspection. They were a little taken aback when I told them I expect the same layout and standard back home. There is also an M16 with its parts stripped out. Somehow this is my favourite exhibit as I was quite familiar and quite fast with the assembly process with the M 16. After walking through a wall of reflection from the chiefs of armed forces we proceed down to the lower level where we were introduced to the modern army. Before that we walked past the wall of 'Our Core Values' and I had to explain to the children what the core values stood for. Regardless of what we may think of the army, the core values does build character in a man. The two little boys are on their way to become men of Singapore. To start off they get to shoot on a REAL M16. The practice range is probably the highlight of the museum. 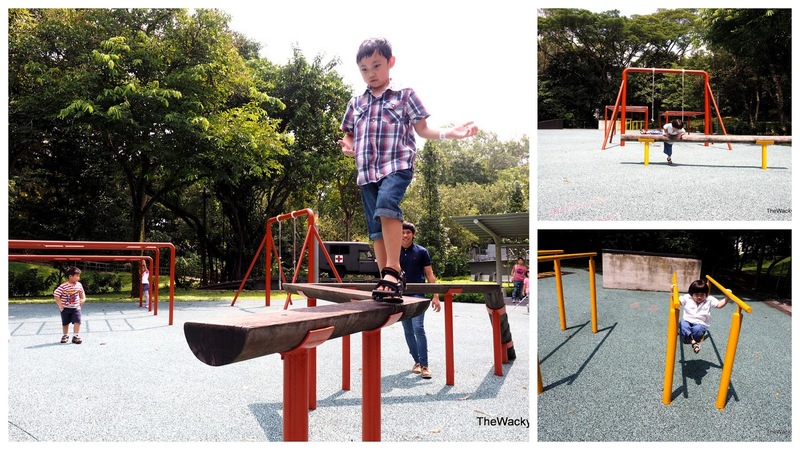 With a minimum required height of 1.2 m, visitors will get to have a mini session using the M16 or SAR 23. This is no click click , bang bang session. The recoil from the rifle feels like the real deal ! Other than that, there is the 4 D theatre with 2 tanks flanking it. Unfortunately we missed the show as the timing did not fit our schedule. By now the boys have accumulated a little more insights into the army. However I did tell them , in time to come , when it is their time a decade later, they might end up looking like Ironman. My theories might be right when I saw the following portrait of the future soldier. The short tour ended with a show about army boys of the past to present. On the whole. The exhibit does not really excite the boys too much. There were too little interactive displays that can really hold their interest ,save for the live range Since this is probably the place young boys and men can learn about the army before enlistment, the army might consider to revamp the place with up to date display and interactive stations that actually work. Nonetheless the boys did learn an important message from this. The message can be seen in the picture below. The boys did see so something that caught their eyes. A pair of tanks lining the road outside the Army museum beckoned them to head outdoors. So we decided to head outdoors to explore. Along the way we discovered the adventure park. This is the mini version of the Standard Obstacle Course (SOC) most soldiers will be familiar with. We found out that this is also the designated kids area . The boys took to the SOC course like how they would with an outdoor playground. Be warned, the afternoon heat can be merciless at time, so remember your water parade. After the workout, the lads were totally 'peng san '. Children Season : Cadets fall in! Before the boys retreat to lala land, they were treated to a little 'surprise.' 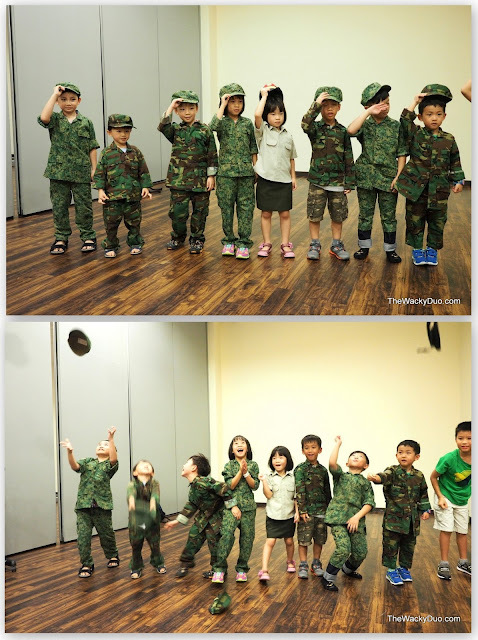 I had 'enlisted them for 'National Service' on the same day via Children's Season - 'Cadets Fall In' program. After all since I had done NS, I thought the boys like to have a sneak peek at what like NS life would be like. This 1.5 hours long 'basic Military Training includes activities like mock Grenade-throwing, simulated marksmanship and SOC. Rite of passage like a recruit haircut is included. Actually we had done most of the activities prior to the event on our own. The event was conducted by plains clothes Ns men. We thought the presentation would be a lot better if Sergent Ong from 'Ah Boys to Men' take charge instead. To add to the authentic flavor, I do suggest the presenters use army lingo instead of perfect English for explanation. The one part the boys enjoyed during the programme is the mock grenade throwing . Check our demonstration in the video below. The finale is the passing out parade. This is where everyone gets to dress up in their favourite uniform for a quickie parade. Overall the programme was an interesting introduction to the army. We do recommend that you do the tour of the Army museum AFTER the event, else you might find yourselves repeating some activities plan. The one thing we think it could improve is perhaps to have uniformed staff conducting the event to add more realism. The program is free, but pre-registration is required. In addition it is open for both gender and recommended for age 6-12.
aiyah, need to be 1.2m for the rifle, ah? :p I think my 7yo is not 1.1m yet. He's been to Tekong to see the current stuff though. We can just go and play at the Mini SOC, I suppose? Free, right?